Laminate flooring is a great solution for homeowners seeking high durability, easy installation and a wide variety of styles. Laminate floors are designed to lock out dirt, dust and daily wear, but they still require regular care. Professional maintenance can help extend the life of the floor. 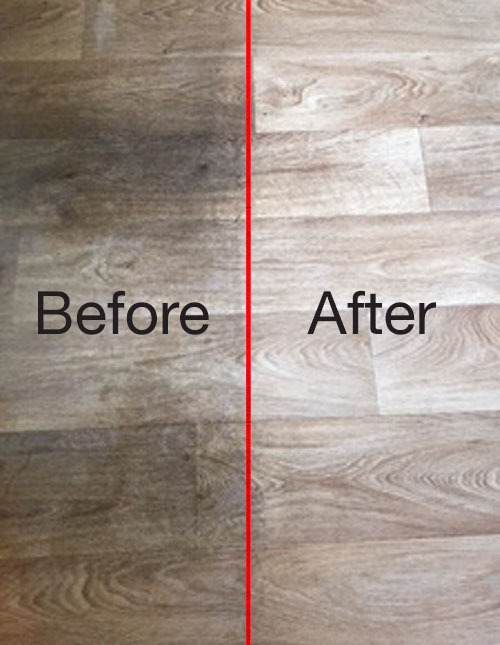 ABE's laminate cleaning process* uses a cleansing agent specially formulated to remove dirt and grime from the floors surface and textured areas while leaving no harmful residue. Floors are left sparkling clean. *ABE's laminate cleaning process may not be suitable for all laminate products. Please contact us for further details. Dirt trapped in textured areas of laminate floor is removed. Floor is left sparkling clean.